ARC has been helping diverse clients all over the U.S. recover the most from their A/R for over 20 years. Tucker, Albin & Associates is a commercial debt recovery firm with a network of over 500 attorneys nationwide. GC Services is among the largest privately-held outsourcing providers of call center management and collection agency services in North America. McKenzie Paul and Associates is an debt collection agency that was founded in 2004. Certified Recovery Systems, Inc. (CRSI) was formed in 1987 to collect unpaid accounts for doctors. Since 1979, American Receivable has provided small businesses with the financial resources they need to grow, increase inventory, make payrolls on time, and effectively compete in the marketplace. ProCollect was created as a provider of financial recovery solutions. FMA Alliance, Ltd. (FMA) is a privately owned receivables management company originally formed in 1983 and headquartered in Houston. Across the nation, SWC delivers leading accounts receivable management and consumer service solutions. 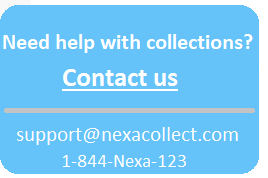 Collection effort includes a combination of telephone contacts and letters. Southwest Recovery Services, Inc. is a nationally recognized. Greenberg, Grant & Richards is an accredited international commercial collection agency and specializes in B2B debt recovery. Alltran, a solutions provider of advanced revenue cycle, accounts receivable management and contact center solutions. 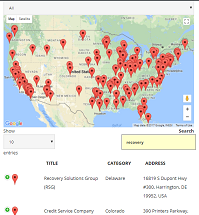 Founded in 1979, Nationwide Recovery Systems’ (NRS) entire focus is on helping our clients maximize their cash flow and minimize their bad debt expenses. Harvest Associates, Inc. is a specialist in the field of medical debt collection services. Service Bureau was founded in 1997 to provide specialized, third party collection services to the medical industry. Consumer Resolution Company (CRC) specializes in resolving lenders collateral. Progressive is a privately held corporation established on May 15th 1995. RX Claims Collections has been servicing the medical community since 2000. Synergetic Communication is a full service collection agency that is licensed in all States and Puerto Rico. Receivable Management, Inc has devoted itself to providing collection services exclusively. United Revenue Corp combines technology, professional collection techniques. Check Recovery Systems (CRS) is a check recovery powerhouse that works directly with financial institutions. A/R Concepts, Inc. is a full service company offering a wide range of expertise in the EMS. Linebarger Goggan Blair & Sampson has offices nationwide and is one of the nation’s biggest government debt collectors. Synerprise Consulting Services, Inc. is a full-service accounts receivable management company. (CMC) is a bonded and fully insured San Antonio-based collection agency.